Most domain name investors stick to buying and selling. When they do venture into development and monetization, sometimes they get burned. That was the situation with Steven Newman and his $25,650 purchase of SportsPicks.com, a resource for sports betting information. But after a bad development start, Newman and his partner are now on the right path with a live website, a $1 million promotional challenge, a marketing program and revenue starting to come in. Learn how SportsPicks.com is becoming an honest, trustworthy service provider in an industry that is often perceived as disreputable. Steven Newman is a domain name investor and co-owner and marketing director of SportsPicks.com, a sports handicapping and advice website. Have you ever bet on sporting events? Do you think you’re good at picking the winning teams? Today’s interviewee purchased a generic sports betting domain name and just launched a business, offering a million-dollar payout. We are going to find out how he built the site and how he is offering so much money. Stay tuned. I met today’s interview guest at the TRAFFIC Conference in Las Vegas earlier this year. He was good luck for me and Shane Cultra at the craps tables and kept me from losing my shirt. I was actually done gambling for the night, lost all the money I wanted to lose, and he refused to let me stop playing. He put ten bucks down on the line in front of me, making me a winner and sucking me back into the game, and I had a great time playing with him. On the way over to the House of Blues’ Foundation Room to meet up with Morgan Linton and Paul Goldstone, we talked about his domain name portfolio and what he was working on, so when he recently emailed me to say he was launching one of his sites, I jumped at the chance to learn what he is up to and how he is doing it. Today we are going to learn how he purchased the domain, where he is getting his content, how he is marketing it to paying customers, and how he is offering a million-dollar payout. 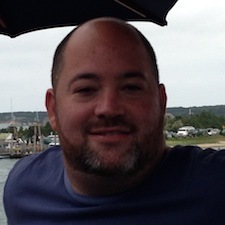 Joining us to talk about the launch of SportsPicks.com is Steven Newman. Steven, welcome to the show. Steven Newman: Thanks Mike for having me. I look forward to the interview. Michael: Great to have you. Before we get into the backstory behind the million dollars, which is just such a phenomenal amount that you are going to be giving away, let’s discuss the background of the domain just to sort of set the stage. The domain name was originally registered back in 1995, but you did not purchase it back then, did you? Steven: No, not at all. We purchased it in June of 2012 kind of on a whim. I was going through some lists about a day before, I saw the name, and I immediately fell in love with it. I had made some previous purchases that week. I was not really looking to spend what I thought would actually sell for more money than the 25 to 26 thousand dollars that the name had originally sold for, so I called a friend of mine who used to run a website back in college and I said, “Hey, do you want to get back in the game?” And he has kind of dibbled and dabbled with domain names very, very small, and called him up, and we put together a budget just on the domain name and we were the high bidder. Michael: Great, and you bought it for somewhere around 25 to 26 thousand, you said? Steven: Yeah, I think it was around 25,660 to 26. Somewhere in that general ballpark. Michael: And where did you buy the domain name? Steven: NameJet. We bought the name via NameJet, and was competing against several other well-known domain handles, and little did they know that we were the end user. Michael: Do you remember who you outbid? Steven: I mean I remember talking to Elliot Silver at one point; that he was looking at the name. I do not recall who was the second bidder. I probably can find it, because I remember thinking that if our business venture did not work that I could always sell it to him and take a little bit of a loss on the name, and just kind of sell it off as a loss and be done with it, so to speak. Michael: So, in hindsight, I know how it is to bid on domain names and it is just a hundred more dollars; it is just a thousand more dollars, when you are going up by big increments. In hindsight, do you think it was a fair price to pay for the domain name? Steven: No, I think it is a great price. We were willing to spend 45 thousand dollars at the time. That was the dollar amount. At that point, we would have been picking up the phone and saying, “What do we want to do? Do we want to up it,” but that was the number on that day we were willing to at least go up to that point. I mean the name has opened up. I mean talk about domain names. The name has opened up a lot of doors. It has opened up a lot of conversations, talking to people, where they might not normally give you the time of day, but really and truly, because you own such a key generic name, for those players that are in the space, it gives you instant credibility. Michael: Tell me about that. Tell me one example that you wanted to have a conversation with somebody and you told them you were from SportsPicks.com, and they had a conversation where you probably would not have been able to have a conversation prior to that. Steven: A perfect example is one of the handicappers on our site. His name is Steve (Unclear 5:10.1). He is well known throughout the industry. He works really on only the major handicapping websites. I reached out to him, told him that I was with SportsPicks.com, and he told me that he is actually in the process of removing himself from websites; that he did not want to be affiliated with as many websites as he is, because a lot of them just do not have the breadth and reach that he would like to work with. It is not worth his time basically. Steven: And we went through our model, he said he loved the domain name, and really and truly what gave him – he is on our site now live and making picks, and part of the reason why is really to do with the domain name. Michael: All right. So, somebody that has never bet on sporting events before, what is the value proposition if they go to SportsPicks.com? What do you offer? Steven: So, the idea is, is that, in a true transparent way, somebody can go to a handicapping websites – SportsPicks.com – and get unbiased, real results from professional handicappers. The reason why I say trustworthy and audited type of results is the handicapping industry on a whole has a very shady, negative connotation to it, where what our goal and our plan for the website is, is that everyone’s pick that comes through our website is going to be monitored, audited, and highlighted. So, a lot of times, handicappers get hot and then they go cold. So, we wanted to highlight those that were doing both at all times in a transparent, honest manner to build credibility within the industry and grow it through that way. Michael: Okay, so explain to me what handicapping is for somebody that does not understand the sports betting. Steven: So, handicapping on a whole is someone that is looking at a line. So, let’s say that it is the Seattle Mariners vs. the Houston Astros. And the two of them are playing one evening, and maybe the Astros being in Texas do not react well to cold weather. So, that is something that maybe only somebody that follows the game very, very deeply is going to know how certain players react in certain types of weather. So that is like one small variable; so what a professional handicapper does is they look for particular angles, particular themes or events, or different trends that are going to put the odds in their favor. When a bookmaker assesses a line, they are not putting favor one way, either on Seattle, in this case, or the Astros. All they are concerned about is having fifty percent of the money bet on Team A and fifty percent of the money bet on Team B. They do not really care which of the outcomes comes true. They just want to make their profit on the juice. Steven: And what we are looking to do is to take and analyze the two teams and analyze that information to give our paying members and people that purchase picks a competitive advantage over the long-term. Handicapping is not something that is a get-rick-quick. Some sites promote it like that. They will say, “You are going to get rich again.” One week you might make money; the next week you may lose money. What it is really about is long-term sustainability and being profitable. Michael: Got you. All right, so two teams. The person who takes the bets really does not care who wins. They just want to make sure that half of the money is on this team and half the money is on this team, because they get their commission off of every bet that is placed. Michael: They make a transaction fee more or less, right? Steven: Well, it is called a juice. So, you have to bet more than what you would win. Steven: So, as an instance, you would have to bed 110 dollars to win one hundred. So, even when you win, you do not win as much as you bet, so it is not 50-50. Michael: Okay. All right, and so they are giving odds. They are saying, “Maybe Seattle is going to do better than Houston,” and they are changing the odds throughout the lead up to the game and trying to encourage 50-50 betting on the two teams. Michael: And then what you are trying to do is give a better – some third person, like myself – opportunity to get almost insider information on which team is going to do better, given a multitude of different circumstances – who is playing, who is on the injured roster, or whatever the case – and allow them to make money. And so they are going to pay you for the information, and then they are going to make a bet and make money off the bet ideally. Steven: Absolutely. It is very similar to your financial advisor that you use with the stock market. All of the information is out there. It is really just having a trained professional being able to read it, analyze it, dissect it, and put it into practice and help you do that for you. Michael: Okay. And so, for somebody that does not understand the industry at all, which I am relatively new to it as well, is online gambling – is sports gambling – legal? Steven: So, in the United States, sports gambling is illegal. And we, at SportsPicks.com, do not engage in any type of betting. We do not take bets. We do not want to be involved with that in any regard. So, SportsPicks.com has tried to build an organizing website that is 110% legal, like I said, that does not engage in actual gambling. So, no, in the United States, it is currently not legal, but one of the things that when we talked about buying the domain name two years ago is there a few different states that are working on getting sports gambling legal in their states, and Jersey being the largest one, where a lot of the sports books have already made investments. A lot of the online poker places and a lot of the online sports books have already made large investments just waiting for that battle, which is probably going to end up in the Supreme Court, but at some point, the battle will occur and we are really looking two years, three years, and five years down the road. So, when this opens a whole new avenue to get new betters into betting on sports, this is an avenue for the US betters, and then for anyone else who is looking for help in making their picks to make money. Michael: Sure, and we see that happening. Just last week, we ran an interviewer where marijuana has just been legalized in my state of Washington, and we had an entrepreneur on that talked about how he had purchased marijuana-related domain names and was going to help companies come online; get online profiles related to marijuana. So, sports betting could be in a similar situation. Now, how come when you and I were in Vegas, we sat in the lounge and we were able to bet on sports there? Steven: So, Las Vegas has a monopoly on it currently. Steven: Where in Las Vegas it is currently perfectly legal. So, like this upcoming weekend – this is going to be aired before I say what I was going to say. Michael: That is okay. Do not worry about it. So, this is going to air after something you are going to say just happened. So, this coming weekend; do not worry about it. Steven: Yeah, so this coming weekend, one of the things that our website is modeled after is called the Hilton Super Challenge, which is kind of like the World Series of Poker. And that is coming the last weekend in August, and I am probably going back out to Vegas to talk and meet with people and participate in the actual contest. Michael: Got you. Now, if I have a pick that I want to make – Seattle vs. Houston -, can I just call Las Vegas and place a bet, or do it online, or do I actually need to physically be in Las Vegas to place a bet? Steven: Traditionally you have to physically be in Las Vegas. I mean I do not know exactly which sports book will let you, being within the United States, accept wagers. I have read various articles of different sports books that have allowed betters within the US to make bets and setup an account, but again, we do not have any direct affiliation with those sports book. On SportsPicks.com, we do have a few recommended sports book that we have worked with, either directly or indirectly that we feel very confident recommending to the people that use SportsPicks.com. Michael: Okay, makes sense. So I understand that it is illegal in the United States except for Las Vegas. They have got a lock on it right now. More states may be coming online and allowing betting, and SportsPicks.com is to help individuals figure out which teams to bet on so they can make some money. So, now that we understand how you help end-users make money using your service, how does your business make money? Steven: So that is only one function of the business. There is a second function, which is through contest. One of the things that we tried to do is to differentiate ourselves with the contest is make it only open to people that are, what we call, insiders. SportsPicks Insiders. They get access to contests. They get access to unique discounts off of the handicapping packages that are available that, if you are not insider, you do not get access to. And you also get access to specific handicapping picks by some of the people on our website, and just general news and articles that may not be available on our website for just people that happen to come across us and come and go; that type of stuff. So, we really look to reward SportsPicks Insiders with a number of value-added features, and we do that for a flat fee of $29.95 per year. And we do not automatically renew. We do not sell your information to all the sports books. We do not sell it. Again, we value you. We do not sell, or trade, or barter, or anything like that your information. Michael: Yeah, okay. So, you have basically two ways to make money. One is to sell a yearly subscription to Insiders, where you give them a bunch of benefits. And then the other option: it sounds like and I went on the site earlier and I can actually buy picks from certain individuals, like you mentioned previously. Michael: Okay, and so the picks that I may buy. I went on and I looked. For example, I saw Vincent Santorini, and I can buy NFL picks or Major League Baseball picks for about 25 to 40 dollars for a single day. So, I can buy the picks today and know who to bet on. Is my understanding correct? Steven: Yeah, that is absolutely correct. So, if you were to purchase one of Vince’s packages, you would then take that information and use that in conjunction with kind of your thoughts and feelings and make a bet. And again, to build a bank roll over time. Absolutely. Michael: Who sets the pricing on those? Steven: The individual handicapper selects the price for their packages. Obviously, if you make a commitment to them for the year, it becomes significantly cheaper than buying a one-day or a one-week package. So, it really just depends on kind of where your comfort lies with that individual handicapper. Michael: Got you. And do you take a commission off of everything that sells, Steven? Steven: Yes. So, the way the business model was setup is that it is just a 50-50 split between the handicapper and SportsPicks.com. So, every package that is sold, they get fifty percent of and we handle the marketing and the sales. We handle every aspect of that to drive their sales. They do what they do because they are great at it, and we are looking to provide the platform to give them some extended reach and market them. Michael: Cool. And I am going to ask you what kind of sales technology you use to keep track of all that when we get into the development aspect of this interview, but since we are talking about sales and how much they are and how the commission structure works, I would love to know: have you made your first sale yet? Steven: Well, we have made our first sale. I will tell you the good and the bad. We actually went live August 7th, which has been about roughly two weeks from the time of us doing this. So, in the two weeks, we went live at about seven o’ clock, central time, in the morning. At 7:30AM, I got a phone call from an individual who called. I did not know the individual. He called me at 7:30 in the morning and said, “Hey, I am trying to sign up on your website, but the (Unclear 18:54.8) link is not working.” So, I go to the website, I look, and I say — I got the good with the bad. As soon as we went live, we got our first signup, but you could not sign up because the credit card machine was not working properly. So, I had to call my developer and figure out what was going on. I talked to the guy. I assured him that this was not what we were obviously anticipating and expecting. And within an hour, the guy was our first conversion and we got our first virtual $29.95 on the wall, like a brick and mortar business. Michael: That is fantastic, and I hope you took the first dollar and you put it up on your wall behind you or something. Steven: I need to do that. I am just trying to figure out a way to do that with an eCommerce Internet-type site. Michael: Yeah, at least print off the order. So, have you received more orders than one in the past two weeks? Steven: Yes. Our goal was to get a thousand signups. Steven: A thousand signups for the duration of the contest. We wanted a thousand Insiders. Michael: You wanted a thousand people paying you $29.95 for the year subscription in order to fund the MDC Challenge that we are going to talk about next? Steven: Correct, and that was our goal. That is what we thought. We did not have aspiration to make money the first year, rolling out. We just wanted to kind of see if we could get the traction and see if we could accomplish a few things along the way, so, yes, we have gotten some signups along the way. I mean, like I said, our goal, if you do the math, was about thirty a day; is what we were looking for. We are on pace for probably three to five a day, so it is not where we need to be, but from other people that I have talked to that do business in the Fantasy Football world, people wait till the last minute. So, again, relatively speaking, there is a lot of time and we have really amped up our marketing dollars and placement of where we are marketing and where we are advertising. We are doing some creative things advertising-wise, so I am still very optimistic that we may reach our goal, but as of right now, we have got at least fourteen thousand dollars in guaranteed money going out the door and we have only got, like I said, I mean you can do the math, probably forty to fifty signups. So, as of right now, that means that one out of every two people or one out of every three people is guaranteed to win at least 250 bucks, and it only costs $29.95 to sign up. Steven: So, if it does not pick up, even if you do not know anything about sports, I would tell you it is a great investment risk versus reward. Jump online, sign up today, and take advantage of just the mathematics being in your favor. Michael: Do I need to make my picks for the football season, or do I need to just sign up and I have a chance to win? Steven: Well, no, it is participatory on your end. Michael: Right, you make your pick, so you are going to be giving away prizes. Steven: Right. So, weekly, based on the results. So, every week, we will be giving away a 200-dollar prize to the person that does best that week. Steven: So, each SportsPicks Insider that elects the play in the contest, so you can be an Insider and not play in the contest. But if you elect to play in the contest, then you pick five games against the spread each week. Then you designate one that is going to be your Lock of the Week, and the Lock of the Week is the one that carries the most weight and creates an opportunity to potentially win a million dollars from SportsPicks.com. Michael: Got you, okay. And so I want to ask you about the million dollars. We are going to talk about it next, but I think almost every domain investor that has tried to build out a website has had an exact same or similar situation to what you had. You went live, and maybe you got a sale or most likely did not get a sale. Or if you did get a sale, something went wrong and you could not actually take the money. My daughter just launched a little business. She wanted to sell her drawings. She is on Instagram, and I guess there are a ton of artists on there that do commissions and sell their drawings. My daughter wanted a store, so I went onto Shopify.com, set her up a store with a few drawings, and then a commission and I said, “Go tell everybody you know. Write to your grandparents. Write to your uncles and aunts, and tell them you have got a store and tell them how to buy.” And so, that was two days ago and she has sold one drawing so far, and that was to you know who in order to encourage her to do this business. So, you had your first sale the first day. How did people even know? I want to understand how you got your first sale, because Mike did not know about it and did not go there and buy it. Tell me how you got your very first sale. What do you think you did? Steven: So, where that first sale came from. So, we originally got together in probably March or April, and we started looking at how we were going to build out and what we were going to do with SportsPicks this year. I can tell you what happened to us last year that we were trying to do some stuff, but it did not work out. Michael: Yeah, I want to ask you about development too, so we will get into that. Steven: So, to answer the question, we look at Fantasy Football magazines and me being a web guy and all about domain names, when my business partner had mentioned to me, “Let’s advertise in Fantasy Football magazines,” I was weary because there is still print and magazines prices, but ultimately we figured we had to cover our bases and do a little bit of both. So, you can imagine King and I’s discussion, where it is now April. We have no website. All we are is just like a regular domainer that just has a domain name and ten thousand dreams. And we are looking at advertising without any development being done whatsoever. And we took the plunge and we bought ad copy in three magazines. We took out three full-color page magazines. Michael: Wow, three full-page, full-color advertisements. Steven: Well, I mean one in each magazine. Michael: One in each magazine. How big was the advertisement? Steven: A full-page ad. So, in Pro Football Weekly, they have an NFL Edition. They have a Fantasy Edition, so that was two of them, and then there is another one called Fantasy Football Index that we bought, like I said, back in April and May, prior to any of the site being fully developed. It was just at the concept stage. Michael: That is a big gamble; especially it went through the development. How much did you end up plunking down and reserving on a firm agreement insertion order at that time? Steven: My guess is it was probably around eight or nine thousand; is what it was. So, it was a leap because, again, there was no telling if we were going to get off the ground. And initially, our slated day was July 1st. That was the first day that we were planning to launch, and then it got moved back to August 1st, and then it got moved back to August 7th. Michael: That is not bad, being more behind schedule, Steven. That is not bad at all actually. All right, so let’s talk about the million dollars that you are going to be giving away. You have got a Million-Dollar Challenge (MDC), and how the heck are you giving away a million dollars? If you have got a hundred thousand people to pay you $29.95 for the first year, I can understand how you could give away a million dollars, but how do you give away a million dollars when you are not expecting to sell that many memberships in the first year? Steven: So, one of the things that my business partner and I were looking at is how can we differentiate ourselves. What can we do? And I have always heard, and the term is basically called reinsurance. It is kind of like when Taco Bell announces, “You go to the baseball game and if XYZ or anybody hits a homerun in the fifth inning, it is free tacos for everybody in the stadium.” Taco Bell does not care if one person eats the taco or all sixty thousand people in the baseball stadium come to collect a taco. They know that they have paid an insurance company a flat dollar amount that, win or lose, that is what they are on the hook for. So, I was familiar with that from some previous endeavors and it got me seeking out to see if we could get an insurance policy written on this. I called numerous companies to try to get them. A lot of the times, the companies do at charity events. If you hit a hole in one or shoot a half-court basketball shot, one of those types of crazy things. So, I picked up the phone and started calling all these companies and said, “Look, this is what we have designed. This is what we want to do. Can you insure it, because we do not have a million dollars, but we have got the money to certainly insure to make sure that, if you win, you are going to get paid,” and that was our primary focus. Steven: Well, the few things that I have learned is I do not know how a lot of these guys make it, because their follow up and follow through is horrible. I mean I do not want to name some of the companies, but how these guys make a living is beyond me, because it was more challenging just from that standpoint of getting someone to be diligent, to call back, and that could comprehend remotely what we were talking about. So, I probably reached out to about twenty-five different of these companies that handle different things. Some of the bids came back and they were just insane. I mean it just did not make it feasible to do this type of contest. Michael: Like what was an insane number? Steven: I mean they wanted 25, 30, and 35 thousand dollars to do this. And all of the contests have a limited number of people that can participate. So, in our contest, there is a thousand people that can participate for the million dollars. Michael: Got you. So, the first thousand people to sign up as an Insider can participate in this Million-Dollar Challenge. Steven: And to win, or to participate in the contest, that goes along with what I was explaining earlier, you would make five picks per week. One of those five picks will be what is called your Lock of the Week. That is the week you feel the most confident about. That is the pick that you think that, no matter what, it is going to win. So, each week, you will designate one game out of the five to be your Lock of the Week. If you win each week for seventeen weeks, you will win a million dollars. And SportsPicks.com hopes you win. Michael: Now, what if you and I both pick all seventeen? Do we both win a million dollars? Steven: No. Unfortunately, there is only one one-million-dollar prize, but it does come down to tie breaker rules. And I would say, for more detail, it is best to go to SportsPicks.com/Contest and you can read everything. It is detailed and laid out exactly – the specifics for the contest. Michael: Sure. Now, I used to work for GE Capital, and one of our largest businesses was called GE Capital Reinsurance, and we had 27 other Capital businesses that specialized in all different types of financing. And I know that these guys are number crunchers and they want every single detail locked down so they can fully evaluate the risk and set the policy premium – how much you have to pay on it. Did you find that in dealing with those 25 companies, the certain percentage of which actually provided a quote to you that they wanted all the rules written out, and they found problems with your rules and things like that in order for them to provide a quote? Steven: Oh yes, absolutely, and we had numerous negotiations. Once we narrowed it down to the company that gave us the most realistic bid that we thought was something that we could work with. And again, as I told you early on, we were not looking to make a ton of money, or we did not have grand expectations for the first year, going into it. We needed a marketing angle to differentiate ourselves from anything else that was going on. And from our knowledge, this has never been done before. But absolutely, back and forth from simple things of the deadline to when the times of the picks have to be submitted to how the lines are going to be transmitted. I mean there is a lot of behind the scene details that come into this particular contest that, for a company to be willing to underwrite the million-dollar policy, they want to make sure that they are protected as you are. Michael: Sure. And so, did you actually use an attorney to draft the terms, and then they had their attorney looking at it, or how did that work out, because it seems like it would require an attorney to draft? And as a follow up to that, did it cost a lot of money, regardless of the premium, just to come up with the terms and conditions and get that settled? Steven: So we are fortunate that my business partner’s wife is an attorney, so we were able to leverage a little bit of internal assistance. Steven: The other thing that we did is we modeled it again after another existing contest that they already have their terms and conditions laid out, and we know they have their A to Z covered backwards and forwards. So, between parlaying what they already have going on or what they are doing and then having an inside attorney look it, from a cost structure, it was not that difficult to do. It was more or less just kind of coming to an agreement on what is a fair amount of time for our Insiders to be able to make the picks, how are the information going to be relayed, and when do we need to get the reinsurance company the information and make sure because, in this case, everything is time sensitive. Steven: And they want to make sure that there is no funny business, and we want to make sure that we have done everything that we need to do to ensure that we are in good standing. Michael: Yeah. So, I know I am wondering and probably everybody who has been listening to us talk about this reinsurance policy for the past few minutes is wondering. How much does it cost to run a contest that has a potential payout of a million dollars? Steven: So, Mike, you were in the business. Take a stab at what you think it would cost to do something like that. Michael: Well, you already told me that 25 to 30 thousand was outrageous, so I am going to go with fifteen thousand. Steven: So, we found a company that basically would do it for around eleven thousand. Since we have entered into the contract and now everything is signed and sealed for many months now, because we had to lock that up before we bought the ad copy. So, actually that was the first order of business before the ad copy in the media magazines. Michael: Sure. Yeah, you cannot promote it if you actually cannot give away a million bucks. Steven: Exactly. So that was the first “order of business.” So, now that other companies – I guess they go through this. I have had one other company contact me and say, “Hey, what are paying,” and his price is cheaper than the eleven thousand that we are paying for it. So, again, after 25 of them and dealing with everything else, that is what we paid, but I would say that probably around ten thousand. Somewhere between nine and ten thousand is probably a good number for this particular thing. Michael: In the off chance that somebody is listening to this and they run a hosting company or a registrar and they want to run a promotion to give away a million dollars, or half a million dollars, or a hundred thousand dollars, and they want to buy a reinsurance company, without naming your reinsurance company, can you name a couple or three companies that you would recommend people start their due diligence with and take a look at? Steven: Well, I mean I can tell you that they are a dime a dozen. I can tell you the name of our company that we are using. The name of them is called Odds On Promotion. They are at OddsOnPromotion.com. So, that is the company that we ultimately went through. Like I said, there is a dime a dozen. It would not surprise me if ten of these are the exact same company, but I mean I walked out of there saying, “If I ever needed a job or if this was something I wanted to pursue, this is the next business venture, because I know how to answer the phone and I know how to call people back,” and those are the first two steps at any business. And half the time, like I said, that was not the case with some of these particular companies. So, that is the company that we are working with. They are the ones that are insuring the million-dollar policy. So, they have been great to work with. I mean we have worked with, originally, the salesperson. Then we worked with the owner to kind of nail down and get it signed, sealed, and setup. Michael: Okay. So, in order to get into this Million-Dollar Challenge, you need to have your first week of picks entered into the system and you need to set your lock. And so, the very first week, what is the day? If somebody is watching this and they are like: “I want access to my million bucks,” if they want to signup at SportsPicks.com, what is the day that they need to signup by? Michael: Okay. End of business September 7th? Steven: I would have to look. I do not have the exact. It is on the website; again, the exact specifics. I think it is the middle of the afternoon sometime. Michael: Great, this is coming out before September 7th, so that will give them a couple of days to go and make their first week of picks and their lock. Steven: Absolutely. And you can go online today and signup and make your picks, and then, if Drew Brees gets hurt and all of a sudden you do not like New Orleans, you can go in there and modify it by the date that is listed. Michael: Okay, cool. And then, in order to make their picks and make their lock for the Million-Dollar Challenge, they need to become an Insider and pay $29.95. Michael: Okay, makes sense. So, you are not really going to be nervous the whole time, are you? You already know what you are paying out on the Million-Dollar Challenge. Are you sort of hoping that somebody is going to win the Million-Dollar Challenge, because you will get more from (Unclear 39:34.4)? Steven: Absolutely. I mean everybody that I talk to is like: “You are going to be so upset, and what is going to happen?” And as I mentioned to you a few minutes ago, I mean we are happy to tell you who the insurance contract is through and the process in which, because people think a lot of these things are a scam. People do not have a lot of trust in them, and really that is what we are trying to overcome; is that everything that we are doing is really to be transparent, trustworthy, and legitimate in an industry that those three adjectives really just are attributable. You cannot use those words to describe them frequently. Michael: Yeah, definitely. Okay, so that makes perfect sense. And then of course, with your business model, if I came in there and I do not know very much about football, I can call up one of my friends who knows everything about football. He bets regularly and wins a lot of money. I could actually buy sports picks off your site, so I could say, “Who looks good this week,” or, “Who looks good today,” and buy those and then use them for the picks, and that is the whole idea behind SportsPicks.com. Michael: Got you. Very cool. All right, so now that we understand the whole challenge and it is very cool, I am going to ask you about marketing next, but first I want to ask you a series of questions around the domain name. Why SportsPicks.com? There is probably a million different names you could have used. Why this one? Steven: Well, I mean having a domain background, obviously I put a lot of value in a generic domain name. Honestly, it was more or less just the timing and how I was feeling the day that I was viewing the drops. There was not a whole lot of research. There was not a long in-depth conversation. I saw the name, I said, “Ooh, what do I think it is going to sell for,” I had a number in my head; I said, “Ooh, do I want to spend that much money on this particular domain name?” I personally have a track record of buying probably as a lot of domainers do. They buy the domain name first and then they do everything else second, and then everything else second never occurs. So, I did not want to be that with this particular name. I was not willing to spend a tremendous amount of money if it was just going to sit in my portfolio on this particular name. So, that is where, like I said, I picked up the phone and I made the phone call to a business partner, and I knew that he was an individual that he and I could work well together and we could get it done. Steven: And that is exactly what we have done. Michael: And who is this infamous (Unclear 42:20.3) business partner? Can you say his name? Steven: His name is Robert. I mean like I said, early on he ran a handicapping sports picks website back in 2000 and 2001, and 2002 really. And then they did some really neat and great things. They were making about five thousand a month off of a website. It was him and two other guys in college. And being young and dumb, and chasing the wrong thing in school, they just let it go. So I knew that he would be interested. Michael: Yeah, definitely. Somebody that comes from the industry and understand it a little bit better. Sure, I can understand why that would be a benefit. I cannot imagine throwing five thousand dollars worth of beer money away and not doing something with it. So, I went yesterday and typed in ‘Sports Picks’ into Google. First let me reason through it, and I am not somebody that bets on sports at all, but the word ‘picks’ is usually a keyword, right? Like: “What are your picks for tomorrow’s games? Who do you like in the Super Bowl or whatever?” But you would use the word picks generally? Steven: Yeah, generally that is an industry standard word. One of the things that I had not thought about prior to buying the domain name, because I am involved with sports betting and I have always been doing handicapping and things like that for a number of years; it was second nature for me, but nowadays, with people saying pics, as shorts for pictures, there is a certain element of confusion there. Michael: Yeah, and so you just threw out a couple of other keywords. Handicapping. Betting. So, if you had SportsHandicapping or SportsBetting, do you think that those are better domain names than SportsPicks? Steven: I mean I guess, at the end of the day, it would be a matter of kind of looking. I mean that is when you would want to dive down into kind of the keyword searches and stuff like that. I mean this industry is highly competitive. It is very competitive, where one of the things that when we initially thought about the domain name, it is when I tell people SportsPicks.com, it is going to stick with them, because if you are making bets, you are making sports picks. And the two of them really go hand-in-hand. And within the gaming industry, there is lots of different areas to focus on, depending on where you are looking to target. With us, it is really three-prong approach. Selling the handicapping picks, contests, and then having an arrangement with sports books that maybe now that we have introduced you to sports betting on a whole, now we have created an opportunity for you to engage in a relationship with them. Michael: Right. Sure. Yeah, that makes perfect sense. Handicapping is hard to type in and you are not really a betting site. You are a picks site, so it sounds like it was a good choice. And in this domain, whereas with many of the other domains you purchased, you actually had a business idea when you were purchasing this one, and you got together with Robert and you decided that you were going to develop it out if you got it. Steven: Correct. Usually, for myself, as the domainer, I would always purchase a domain name thinking I was going to develop it. I usually was hesitant to buy a name if I did not envision myself doing something, but this is the first domain name I have developed in ten years. Michael: And so I went to Google yesterday and typed in ‘Sports Picks’ into Google, and it returned 665 million results. So, in their index, there are 665 million individual pages of content that Google thinks are associated well with Sports Picks. And then it tries to say number one through ten are the most important out of those 665, and SportsPicks.com was listed in the ninth position out of those 665 million results. Not bad! Steven: Yeah, last time I looked, we were eleventh, so I am glad to hear we are trending up. Michael: Clearly people in Seattle think more about your website. So, what have you done to rank it in the top ten so quickly? Michael: And did you explain to him that, yes, you agree and you want to buy NFLPicks.com from him? Steven: Of course! Of course I wrote back to him and said, “No, I understand fully. We are looking to expand,” or whatever. And I could not get him to give me a number at all, but I told him I would give him considerably more than what he was trying to imply that he would give us for his graciousness. Michael: Yeah. No, I agree. I think that the exact match domain “penalty” is grossly over exaggerated. I have written a comprehensive article on the topic that is down on the right-hand side that people can go read, and a lot of other people, just like yourself, who are running real businesses have come on and said almost exactly what you said; that the exact match domain has helped them rank well. So, now that you are ranking pretty well in the top ten, are you seeing a decent amount of traffic coming from Google as result of searches and from other search engines? Steven: We just added Google Analytics the other day. It was one of those development – that we will get into – miscommunications. So, yeah, I mean every day we are increasing traffic. Every day we are growing, and we are starting to see, like I said, growth, and that is all I can ask for. I mean going into it, again, if you ask me where that thousand-person number came from to become an Insider, that was because that was the cap on the contest. It was not done based on any kind of hard numbers that we had to get to a certain point. I just figured if they were going to limit us to a thousand people, well, that should be a good goal for us. Michael: Yeah. So, if I were to ask you what your daily traffic is right now, you have no idea? Steven: I would say that we are probably somewhere between three hundred and five hundred people a day. Michael: Nice. And do you know how much of that traffic is type-in traffic, so non-referral traffic coming to the website? Steven: So, early on, back in 2012, the domain name was parked. As a parked domain name, it only average five to ten people a day with type-in traffic. So, I have not done any type of analytics on type-in traffic now versus other sources of traffic, so I would feel comfortable saying it is still minimal in the grand scheme of things from the type-in traffic. But again, the traffic that we do have that comes in, I think it is going to invaluable, because we provide exactly what they are looking for. Michael: Yeah. Yeah, exactly. The reason I was asking is that I love to compare the results that are in EstiBot.com. It is purely an estimate, but they estimate the amount of domain name type-in traffic you see on a specific domain name. And in this case, it said that it was 29 visitors per day. And so, from years ago, if you are parked at five to ten, you could say order of magnitude or pretty close to it, and I just wanted to verify that number. Steven: Yeah. Yeah, I would say it is probably fifteen at most, but it was certainly not 25 to 30 on a daily basis. Michael: All right, let’s talk about web design. People can go to your website right now, and they can take a look at it. What kind of content management system are you using to run the website? Michael: A phrase that is not techno talk? Michael: Are you using WordPress or Joomla, or any of those systems in order to run it? Steven: Yes, so we are using WordPress to run it. Yeah, so it is a WordPress site. Michael: Cool. And did you use a theme that was off the shelf? You know, buy a theme for fifty dollars or a hundred dollars, and then customize it, or did you develop it from the ground up? Steven: No, we bought a theme. I think it was ThemeForest. We had originally bought a theme and then we had a designer go in there and modify it to our specifics. Michael: Okay. And you mentioned that you had a little hiccup with your development work that you started down the road. Did you actually have to change developers? Steven: Well, when we first bought the domain name back in I believe it was June 2012, we were hoping to roll out last year for football season. So, one of our internal debates were: “Do we want to customize and build this out from A to Z and spend that money that was required to do so, or is there something else that we can kind of test run, see if it is going to be profitable, and pay a little bit more money upfront, but at least we know what we are going to get longer-term?” And we went through that with the company, and the company looked legitimate. And in the end, everything that they said was untrue. They just over-delivered. They totally did not fulfill. And one story after another. My grandmother died, and then our site went down. I mean it was just a ridiculous thing. So, basically, we put all of our eggs in that basket with this company. And just to put it into perspective, when you are dealing with sports handicapping, the company itself is not like when you think of GE or Coca Cola. I mean these are small outfits, so it is very easy for them. And again, that is why there is no transparency. There is no integrity in a lot of these companies, which is why we are trying to differentiate what we are doing and how we are doing it. Michael: Yeah. So, did you actually end up paying this first development company money to get started on it? Steven: Yes, so basically they roughly stole five thousand dollars. Steven: We were leasing their technology. And basically, at the end of the day, they stole five thousand dollars. That is the short version. Again, it was working, and I do not know if they did not have the proper backups in place, but again, just through a series of bad events, it got us where we had written off the 2012 NFL Season. And then, like I said, we decided that we were going to go with what we were originally going to go with and just do everything custom built from A to Z, and spend the money, build the infrastructure, and that is what we have done. Michael: Yeah. So, I often get emails from people saying, “I want to develop out one of my domain names. What do you recommend, or what platform do you recommend, or who should I use?” Looking back on that first development process, Steven, and then going forward to the second development process, which actually got SportsPicks up and running, what did you do differently the second time so that you did not make the same mistakes? What do you recommend to other people to learn from that first development process? Steven: Well, the one was kind of working with a pre-built infrastructure, and the second one was not. So, it is not really apples to apples comparison. I have tried to build or have websites developed for ten years now. In 2002, my first website that I developed and co-started was a company called BuyForCharity.com right when the Internet bubble burst. It is still ongoing now. It has different ownership now, but it did everything. Now, that process was most similar to the latest process of going through it. The one with that first development company was more of just kind of dealing with the lies and the BS that these companies spew just to kind of keep you engaged and to discuss and to continue to kind of milk the cow, so to speak. Steven: My recommendation and advice was, prior to this endeavor, I have always used Elance, which, if you are not familiar, is just one of the freelance website, where there is checks and balances. And I have tried probably five or six times since that first website to do another one, and for whatever reason, I have not been able to get them off the ground and up and running till where SportsPicks comes today. To me, what is the biggest difference is my business partner, Robert, who has done a great job in taking what I am saying and then filtering it and re-communicating it in a manner that brings results, because a lot of these guys, like when you asked me the question about what is our CMS, there is a communication issue. Steven: And I do not know, and a lot of these guys. So, even with this team, one of the other major differences is, and one that I would recommend is, having a team leader or project manager that is very familiar and truly comprehends what your goal is, what you envision, and how you envision it. And set goals in place, where they are going to be compensated for getting you along the goal and pushing the ball down the field every step of the way, because you, as the domain owner or site developer that is looking to do it, your goals and the developer’s goals are not one and the same. Steven: And the challenge is, is bridging that gap to make them one and the same. So, I always find the common carrot is money; is to put money in place for doing it, and gauge lack of errors and modifications, and time is money. And that is something that SportsPicks.com is still seeing right now. I mean we are constantly making changes. We are constantly making updates, and some of them are ones that we want and some of them are ones that we do not want, but feedback has provided that we need to make a change, so we are doing that. And again, all of that costs money. So, those are some big things; is having someone else being able to communicate to them and truly understanding. Do not just buy the dream of somebody or a company saying, “Yeah, we are going to do this, this, and this,” because there needs to be somebody that sees it, feels it, and is engaged with it to truly be able to build out your vision. Michael: Yeah, great point. So, a couple that I will just reiterate are number one: you have somebody on your team – your partner, Robert – that is able to talk with you, decide what needs to happen with the website, and then he translates it into something that the development team that you found through Elance.com can actually accomplish. Steven: So, this particular development of SportsPicks.com was not done through Elance. Michael: Got you. Did you pick another company in your local area? Steven: A friend of mine that was a web developer, and he had previously worked on some other sports-related endeavors. Their company is called FifthQ.com. They had worked on some sports sites before, and a friend had referred me to them and they were already, again, very familiar with the sports industry and everything that comes with it, so they were a huge help in doing that, at least the owner of the company was. Steven: A lot of his workers were still overseas, and there are still large communication gaps, and that kind of stuff. Michael: Yeah, but he acted as basically a project manager. Michael: You would say, “I want it to do this.” He would then tell his developers, “Here is how you need to code it. Here is how you need to structure it so that they can grow this way if they want to and add flexibility.” And so that is why I think a lot of domain investors who have not done development in the past think that they can just go on to Elance.com or Odesk.com and say, “I want a sports betting site or a sports picks site, and here are the five things that it should do,” and they are not providing a screen mockup of where they want things or what the functionality should do, or a set of screenshots that lead the developer through what the user experience should be. There is a lot that goes into developing a website, and you were able to do it better this time because you had not only somebody on your team that could help you define what all those user experiences are, but you used somebody that was local that could actually talk to you that understands the sports industry and can speak English and does not have any communication issues, besides more than just you and me, to then develop it. Steven: And somebody I trusted. Steven: I think that is another important variable that goes into play. But absolutely, yes. Michael: And the other thing that I will just say, which you brought up a great point is that if you go onto Elance.com or Odesk.com and you assign a project, thinking you designed up your mockups and the user experience and things like that. You can actually do an escrow through those services that say, “For user experiences one, two, and three, it needs to be done by September 1st, and I will pay one thousand dollars. For the next two users cases, it needs to be done by September 14th, and I will pay an additional one thousand dollars,” and you can define the timeline and the amount paid based on you signing off on that functionality. And it makes sure that you are meeting the deadlines that you have, because clearly you had a timeline that you needed to meet as well as not releasing funds before they were complete. Michael: Right. Yeah, definitely. Great advice. All right, so let’s talk a little bit more about marketing. You mentioned that you bought those print advertisements. You had to commit to those in advance, not knowing exactly when you were going to go live, and that was a big investment to make. I did a little bit of background research. I found Aaron Wilkin from AccidentalDomainer.com, on July 5, 2013, posted an updated on sales from a year ago. And so, he looks at the top ten highest ranking by sales price, and SportsPicks at 25,660 was number five at that week, and he had a little screenshot, saying, “Million-Dollar Challenge launching July 1st.” We talked about that you did not launch on time and that you actually targeted the next, but splash page was definitely eye catching and you had three boxes on there: email address, which was a required field, and then first name and last name. So, how long did you have that splash page up and running for, collecting email addresses? Steven: It did not get up there as quick as I would have liked. To me that was the basics from day one. As soon as we decided, that should have been there. The developer, for whatever reason, again. I would say six weeks is probably the timeframe that it was up. It actually did a really good job. I mean I think that is a MailChimp product that was kind of servicing and collecting the email addresses, and capturing them and all. So, it worked out well. I think we got about 100 to 150 signups before we went life. Steven: Yeah, we are currently in the process of trying to convert those 100 to 150 signups into paying Insiders, so we have a system in place to kind of figure out what they were looking for, seeing what we can do to get them onboard, and go from there. Michael: Awesome, and so that just goes to show it. As you are planning out your business, as you are developing your website, put up a splash page and say, “Hey, we are going to go live soon. Give us your email address.” And people who are self-selecting – they are visiting your website, SportsPicks. They want what you have – are just giving you their contact information so that when you go live, you automatically have a pool of people to reach out to. And thing I love about MailChimp as opposed to the many competitors that they have is that you do not have to pay anything for a MailChimp account until you hit I think it is two thousand subscribers, or maybe it is five hundred subscribers. I cannot remember the exact number, but basically you want to just put up a splash page and see how many email addresses you can get for any of your domain names. It is a pretty easy process and you can do it without spending any money on a newsletter list that usually run about twenty bucks a month. Steven: Absolutely. I would recommend it to anybody that was even thinking about developing their name or kind of trying to gauge the engagement of the domain name. It is one thing to have a great domain name. A lot of people have tried development and they have evaluated or they found out that it does not convert really as a developed website. So, that engagement factor and, ultimately, the conversion is the important variable, so absolutely, MailChimp is great. Michael: Yeah. So, you have paid for your advertisements. The advertisements have been printed already and have gone out, I assume. Steven: Yeah, absolutely. I mean I have seen them at Barnes & Noble, Randall’s, Toms Tom, some of those magazines here, in Houston, but absolutely. You can see them any reasonable place I believe. Michael: And so, your marketing promotion has a drop dead date of September 7th. So, are you in full press? Are you putting a full court press on? I was looking for the sports analogy. Are you putting a full court press on your marketing efforts between now and September 7th? Steven: So I would say that we just started really yesterday, and then, ironically, I will tell you a story that I probably should not tell you, but we kind of started our full court press. We were very excited to see an uptick in signups and usage, and last night we went on the website to check the number of registrations and it was zero. It was not even on our pace. And I guess, in hindsight, we should have realized that something was not right then, but we just figured it is not doing what we want it to do. Tomorrow is a new day. Let’s approach it from that standpoint. And then it was not until this morning that I went through the process, just kind of looking and evaluating things, and I realized that when I went to put in the information that it would not let you go to the Checkout Page. So, I have not actually had an opportunity to go in the stats and see how many people bounced from that particular page, but it certainly makes sense why zero people signed up, because zero people could sign up. So, again, it is constantly something. So, I would say, regarding your full court press, we are definitely starting to and it is coming together. To give you an example, one of the things that we did not anticipate would be a problem. SportsPicks.com does not do any gambling. We do not engage in gambling at all. But companies, when they go to our website and they see the domain name and the website, they do not buy that. I mean from getting setup with credit card processing. I mean even Google advertising. Google PPC AdWords will not let SportsPicks.com advertise on their platform. Michael: Is there some person you can contact and say, “We do not take money for gambling”? Steven: So normally I do that. Steven: Google actually had a separate line, where they do not have handicapping either, so it was kind of like the argument that I thought I was going into the battle with, they knocked me out because I did not finish reading the rest of their things. Google is just a no-go. So, one of the challenges that we have actually found that I and Robert and several of the other people that work with us never envisioned is getting the marketing. Meaning I always thought, if you have the money, it is easy to spend. And in this particular vertical, it has not actually just like that. Now, I guess if I wanted to be on ESPN or Yahoo, maybe. Now, we are not spending those types of ad dollars, worth hundreds of thousands of dollars in media buys, so it is a little different playing field. But some of the sites that we would like to be on have already sold out for advertising and they have been sold out long before we even thought about advertising on the site. Some of the other websites, again, we are gambling and they do not want to be associated. So, there is a lot of different little challenges, but they all impact the bottom line and the traction, and the day to day that, again, it is all a learning curve that I have constantly learned. So, because of these challenges, they have required us to go outside of the box, maybe a step deeper, looking for avenues to market. Do you want me to discuss some of those now? Michael: Yeah, how are you marketing, given those challenges? Steven: So, as an example, one of the things that we were doing is we were contacting large Fantasy Football online websites. So, we are currently now setup to be on some of those website. Some of them are going live today. Some of them will be going live in a couple of days. Michael: So you bought an advertisement banner? Steven: Yes. So, some of them are banners. On the major websites, they are banner ads. So, some of those websites are RotoWire.com. Another one is FootballOutsiders.com. So, those are two that we have done traditional banner ads with. Michael: And when you say traditional, you bought ten thousand impressions. Steven: Yeah, we bought five hundred thousand. Right, just traditional, on a CPM basis. So, those were the avenues that we were really looking for, and a lot of the websites with any traction, again, it has been hard placing dollars in marketing avenues. So, one of the things that we have done more recently is a lot of the NFL teams have forums and blogs, and people that have huge followings, where people come on. So we have started buying banner ads on some of those websites. We have been working and buying stickies on some of the forums. Things that do not even cost a lot of money, but everybody reads and looks at. And some of those, as an example, are TheGangGreen.com. That is one of the big blogs for the New York Jets, so that is one. We actually had another deal with the other big Jets blog, called JetNation.com. So, you can go online to the forums and, as people are talking, they see information about our contest and participating, because really who we have been targeting is people that are involved with football, Fantasy Football, sports gambling to some degree, but usually it is too expensive because we do not have the type of margins that the online sports books have. So that is another challenge when you are marketing and you are perceived. And if they are going to take you, all the other gambling outlets want to be there too, so it is very problematic from a marketing budget perspective. Michael: Yeah. So you mentioned press release to me; that you have not been able to get a press release out because the associations will not even take a betting-related type press release and publish. Is that correct? Steven: Well, it is kind of interesting. So, we initially put out our first press release and it went out without a problem. Steven: So, the first one went out without a problem. Two days later, we were trying to do another press release, and when we tried to put that one that, it got flagged by PR Web’s editorial department. And I was very excited about the press release. I was looking for positive press from it. I thought lots of good things about the release. And in actuality, I would wake up in the morning and find out it never went out. So, I called the PR company, I get the Managing Director on the phone, and she is telling me that we are a gambling website. I explained to her backwards, forwards, upside down, any way you could possibly phrase it to her; she did not get it. We are a gambling site in her eyes and that is all that matters. Now, ironically, they are located in the state of Washington, and I understand that, apparently, over time, Washington has made some very strict threats. I do not know what they have said to these different companies, but if they touch anything related to gambling, it is a giant mess for them, because one of the advertisers – that magazine that I mentioned earlier -, Pro Football Weekly. They are located in Washington as well, and we had to jump through numerous hoops to get them to allow our ad in the media. Again, it was not just, “Hey, here is six thousand dollars. Take my money. Let’s do the ad.” I had to fight with them. I mean they were not the problem. Some of the other issues around it, but to demonstrated we are not doing any gambling. Steven: So, every which way you can imagine, we have encountered some type of hiccup. Michael: Have you been able to get any new sources, like regular bloggers that cover the gambling industry or horse racing or NFL, or whatever to cover your business launch? Steven: So, one of the things that we have not done, because a lot of the people that play in these things are last minute and it is impulsive, and a lot of Fantasy drafts are going on right now. A lot of things are going on. So, to target that segment and to really utilize those platforms, we really want to kind of allocate the last week for that, and it is predominantly on most of things. It is Robert and I that are doing them, so there is tons of moving parts constantly, so, again, we kind of have to set up a timeframe to get it done and allocate our time as best as possible. We definitely are looking to do that a hundred percent. Michael: Yeah. Your partner, Robert, and you. What is your end goal for the website? Are you looking to build it big so that you have plenty of cash flow coming in? Are you looking to build it and then grow into maybe gambling when it becomes legalized? What is your end vision for the business? Steven: Well, I would say obviously we are looking to make money and cash flow is beneficial for all, but more importantly, from that perspective, we really wanted to create an honest, trustworthy site with integrity in an industry that most people, whether or not they do participate or do not participate, believe that it is a very untrustworthy business. So, our primary goal right now is really just to establish that; those fundamentals of the website. Everything else from there, if we do it correctly and the word gets out that SportsPicks.com is a trustworthy, integrity, they are sports picks, they are handicappers, they are very good at what they do, and we take care of business, whatever the future holds, it is my personal belief it will take care of itself. Obviously, as gambling expands its areas that we would be open to looking at, but at this time, we are really just focusing on building and focusing on our core values and expanding them. Michael: Got you. What are your next steps for marketing? It sounds like you are getting ready to launch the Million-Dollar Challenge (MDC) September 7th, and then, once that hits, are you going to be spending the seventeen weeks really focused on that challenge and making sure that you get the data to the insurance company and all that sort of stuff? Steven: So, we will be working on all of that completely, but that is only one component. Then we still have an ongoing obligation to the handicappers that are utilizing our website to grow and market, and create a following to provide value to our handicappers and to our users. So, our marketing angle is to, on an ongoing basis, provide high quality content via featured articles and our blog to be able to do that. A lot of that is using Twitter as a mechanism to promote our handicappers that are doing well on a week-to-week basis. We are also going to be doing some live Twitter events of some games, some different events, and things like that to kind of help promote SportsPicks website. So, we are really looking to do an ongoing, but absolutely, we have to manage the contest. Once September 7th comes, that just means we do not have any more availability to try to capture and lease people for the $29.95 for the contest. Steven: That is still going to be an option for someone to sign up. And another kind of secret that if somebody really stops and thinks about it, I will tell you to become an Insider is only $29.95. Some of the packages that are going to be coming onboard and that may be on there right now range anywhere from three hundred to fifteen hundred dollars. Well, Michael, it does not take a genius to know twenty percent off of a 500-dollar package is a hundred dollars off. So, it is cheaper. Even without the contest, you are better off signing up, using the special code to sign up as an Insider, but again, they make black cars and blue cars for a reason. So, we will see how it goes. Michael: Awesome. All right, Steven, I have enjoyed getting to know you better when we were in Vegas and talking to you today. Are you going to be at the TRAFFIC Conference in October, so other people who have watched this can come and chat with you and meet you as well? Steven: I certainly might be. At this time, it is hard to tell. As I alluded to in the middle, I am still trying to work out if I am going to be in Vegas in three days, so taking every day-to-day at this stage, but definitely look forward to it. And just wanted to kind of throw in a last. If anybody has any sports-related domain names that may feel will be an asset to SportsPicks.com, you can email me at Steven@SportsPicks.com. I am not looking to pay end user prices. I am a domainer, so do not insult me. I am really looking for traffic that we can use and leverage for a lot of the things that we have discussed here today. So, if you have anything that may be any type of traffic in any sort, we would be open to discuss it further. Michael: So, two options. One, if they have domain names that are getting traffic, you might consider buying the domain name. And number two, if they have a domain name that is only making them a few pennies parked at one of the services, you might be willing to form a partnership with them to buy all of the traffic coming from their website, sort of zero click. They can direct it straight over it to your website. Those are two options that you are looking for. Steven: Absolutely. And again, if it is one or two clicks, it is probably not going to be worth it, but again, on some of those names that maybe do not convert that well for whatever reason, obviously we would be looking to do it on a zero-click basis, just kind of like on a CPM basis and every thousand people, and pay it like that. So, again, it is really just a matter of evaluating and looking. And you did not mention one of things that we are looking at doing is using, so I own some other sports-related names, like Game of the Week. So, we are going to cross market some other domain names with the handicappers on some other websites. Steven: Like Game of the Week and Super Bowl Picks, and some of these other things. So, we are always looking for domain names that can work well with what we are trying to accomplish. Michael: Sounds good. All right, we talked about a lot of stuff. If you have additional questions, please post them in the comments below and we will ask Steven to come back and answer as many as he can. Steven Newman, Co-Owner of SportsPicks.com. Thanks for coming on the show, sharing your adventure getting SportsPicks.com up and running, and we all wish you good luck in the Million-Dollar Challenge, and thanks for being a Domain Sherpa for others. Correction, the broken links seem to be associated with the Firefox browser. I updated the browser to the latest version and still having issues. Might want to get that checked out, if I’m having issues there are probably others having issues. I stand by my comment about amateur design though. Thanks for watching and for your input, Chris. I’m sure Steven will take your input and get things fixed ASAP. Browser compatibility is a pain…I’ll vouch for that. I still have more than 2,000 per month visiting iSixSigma.com on IE6, if you can believe that. Almost every link on this guy’s site is broken…looks like they have a long way to go, I wouldn’t give a dime to a site that looks so amateur and functions so poorly. *Very* interesting interview. Good luck, Steven. I can’t wait to hear what happens with the business! Michael, great story and find. Thanks, Marty. I can’t wait also. I think it’s going to be great.